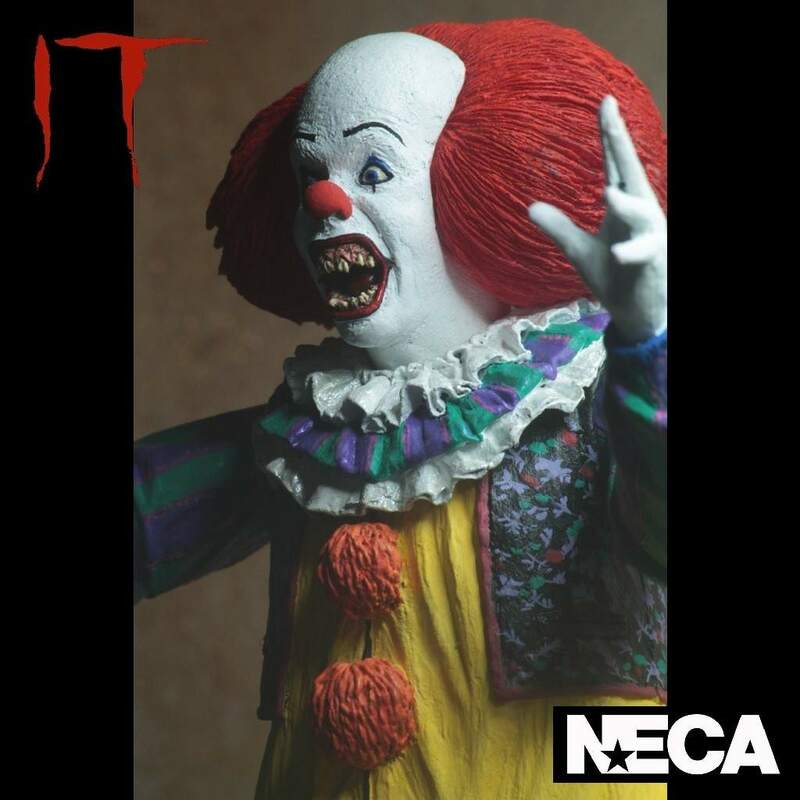 From NECA we introduce this detailed and accurate Ultimate version 2 of Pennywise based on the dancing clown from the 1990 horror film IT. "You'll float down here, we all float down here." 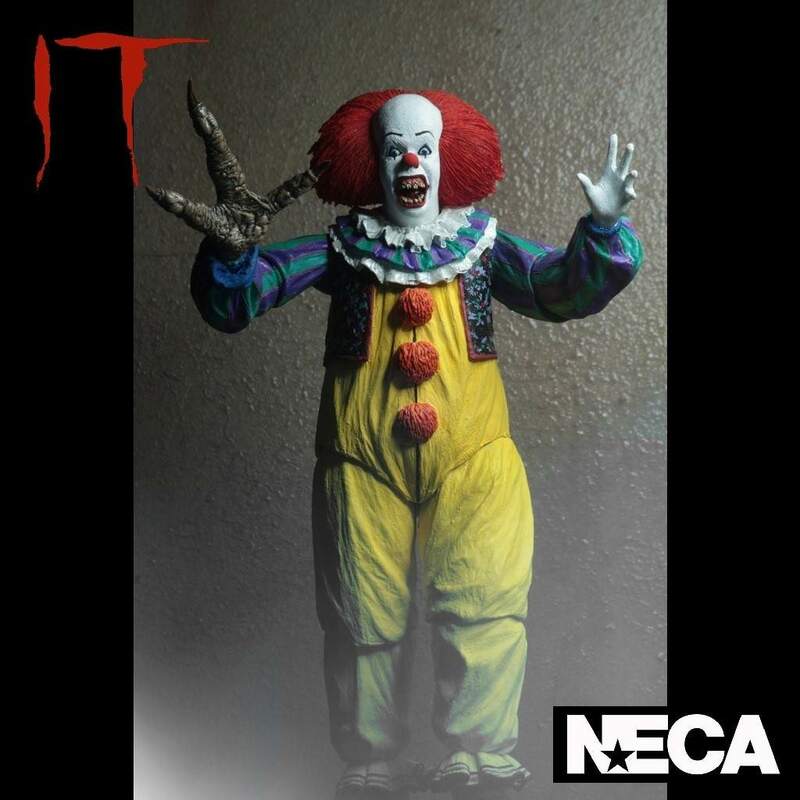 NECA presents the IT (1990) version of Pennywise the Dancing Clown in action figure form and based on the character from the acclaimed horror film and the original novel by Stephen King. 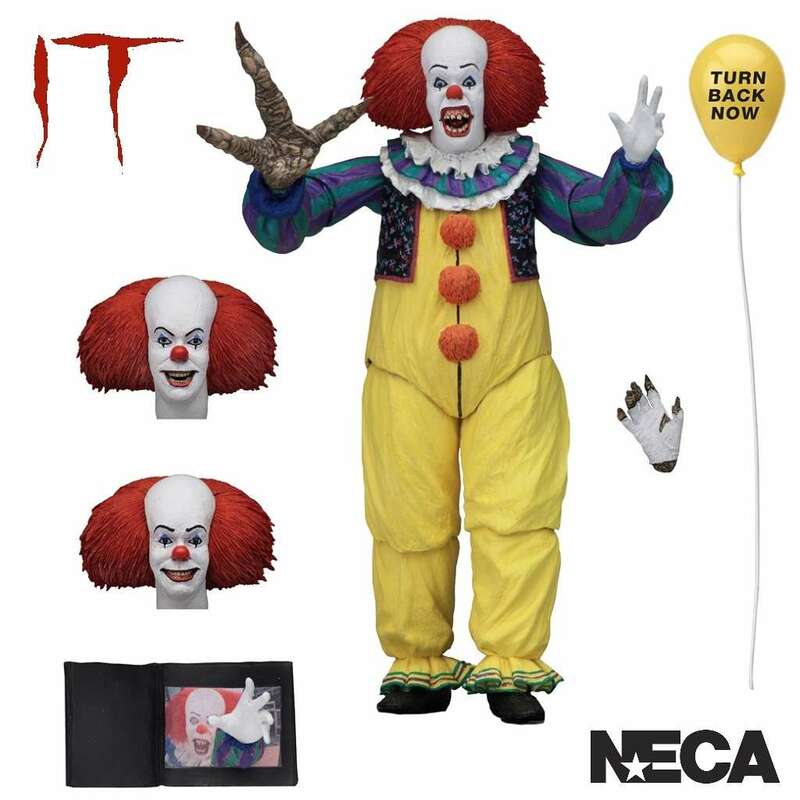 This new Ultimate version 2 of Pennywise, that was portrayed by actor Tim Curry stands at 7" tall, is fully articulated and features a total of three all new interchangeable heads, plus interchangeable hands that includes a massive monster hand, and also a “Turn Back Now” balloon and 3-D “emerging hand” book. 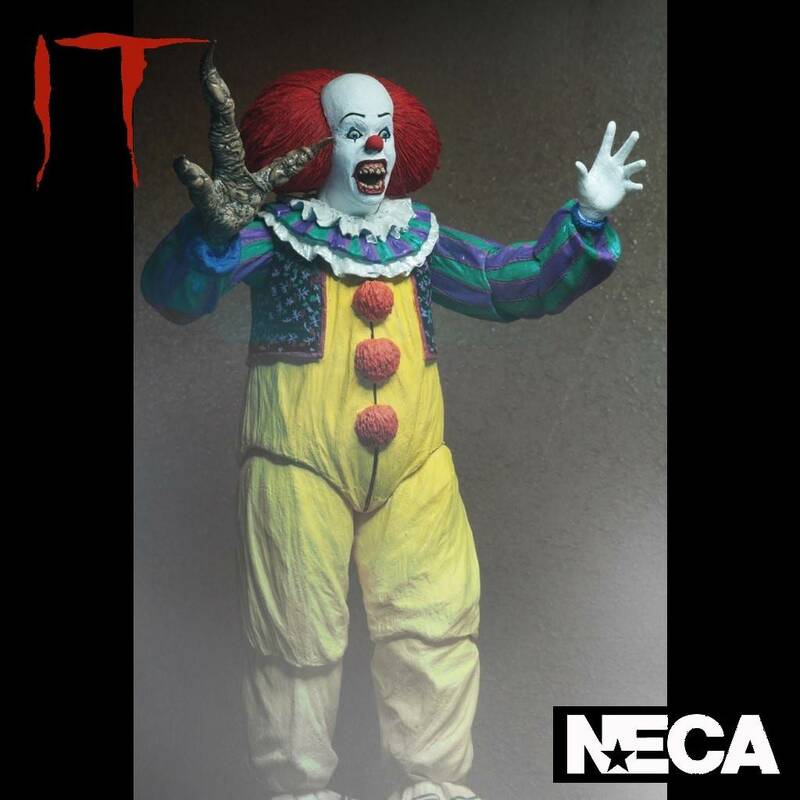 NECA have painstakingly detailed this figure to be as accurate as possible including Pennywise’s ornate costume. Comes packed in a collector-friendly deluxe window box with opening flap. The perfect gift or collectible for any fan of Pennywise.